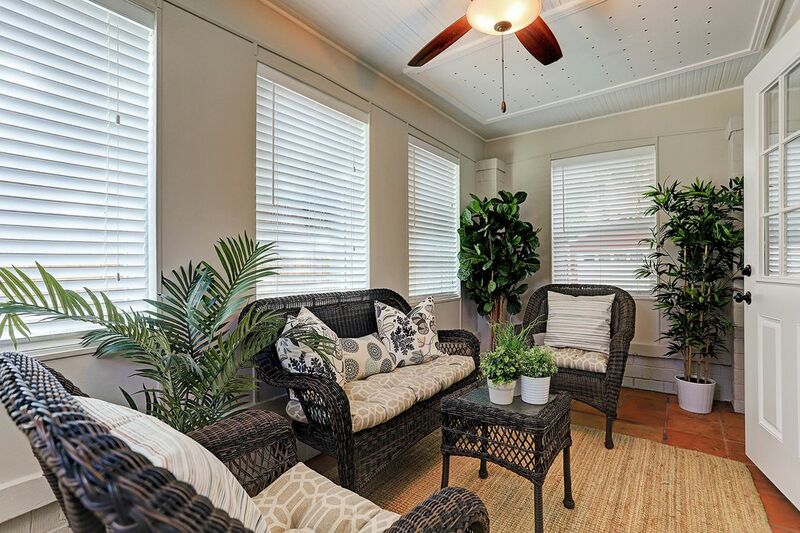 1746 Colquitt, Houston, TX 77098 | Martha Turner Sotheby's International Realty, Inc.
SUN ROOM - 16 x 7 - Upon entry, you're welcomed to a light-filled Sun Room. 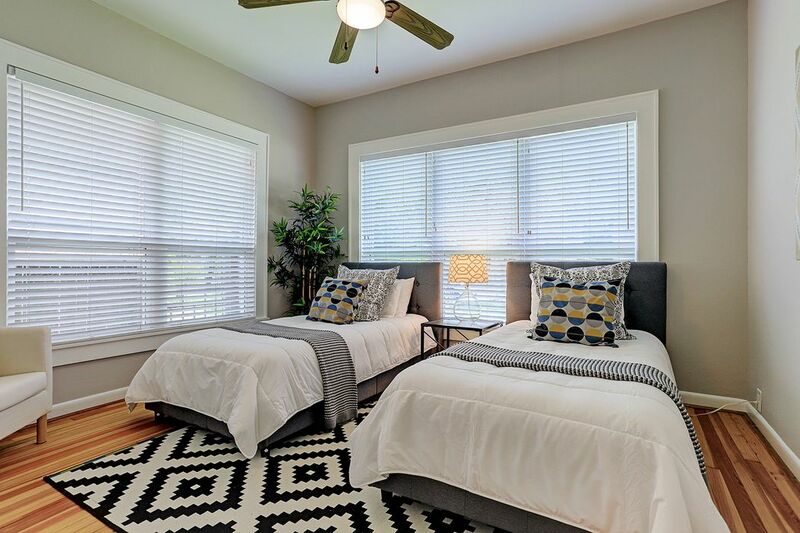 Complete with (4) windows w/ blinds (2013), ceiling fan w/ light and Saltillo tile flooring. FAMILY ROOM - 17 x 14 - Natural light pours through the Family Room's large window. Ceiling fan w/ light (2015), hardwoods. Alternative view of the Family Room. The faux fireplace adds decorative appeal and is complimented by built-in shelving, perfect for displaying cherished photos and mementos. 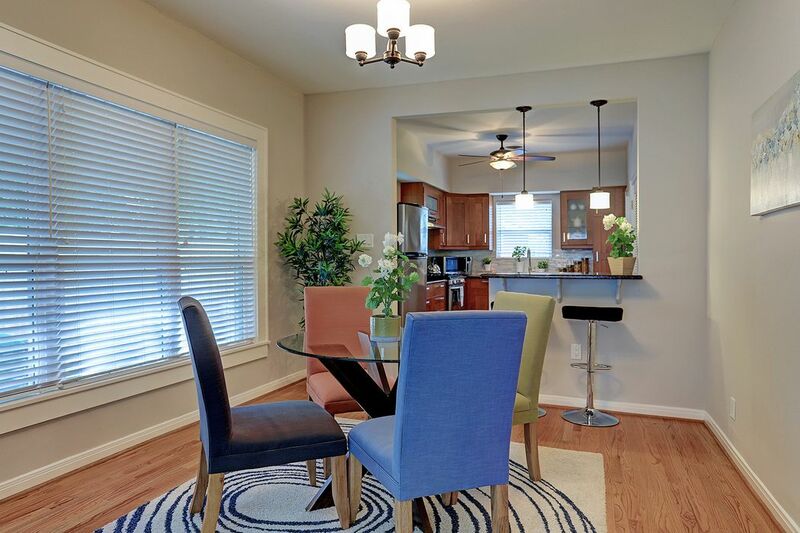 Family Room opens to Kitchen/Dining Area. DINING AREA - 13 x 11 - Large window in Dining Area provides wonderful natural light, further enhanced by a hanging glass light fixture (2013). Hardwoods. 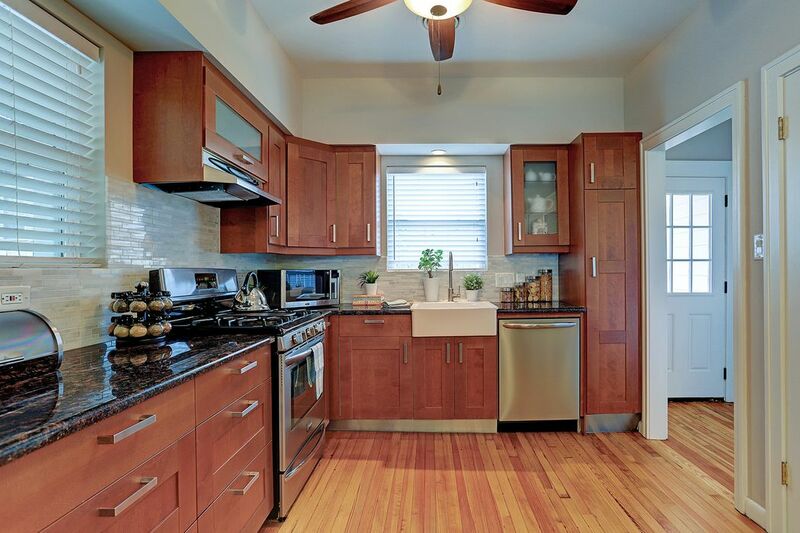 KITCHEN - 11 x 8 - Remodeled in 2013, the lovely granite kitchen boasts a marble tiled backsplash, porcelain farmhouse sink w/ brushed nickel faucet and brushed nickel hardware. 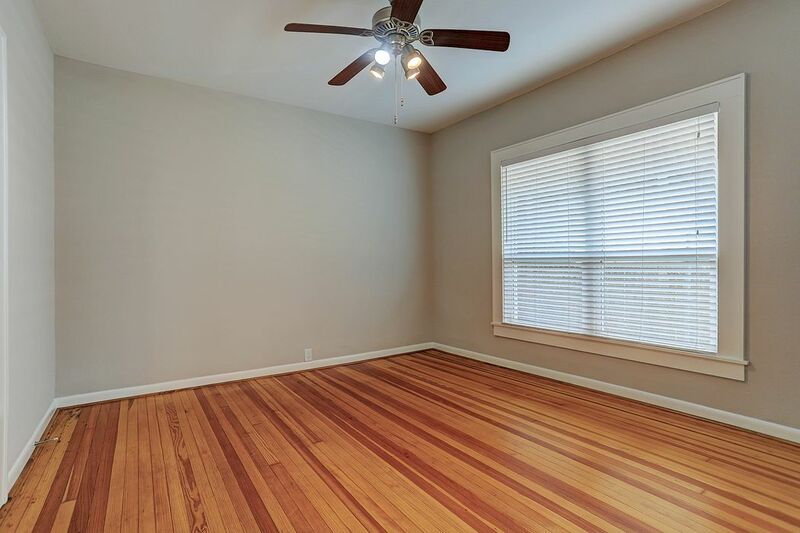 (2) small windows w/ blinds (replaced in 2015), hardwoods. Alternative view of the Kitchen. 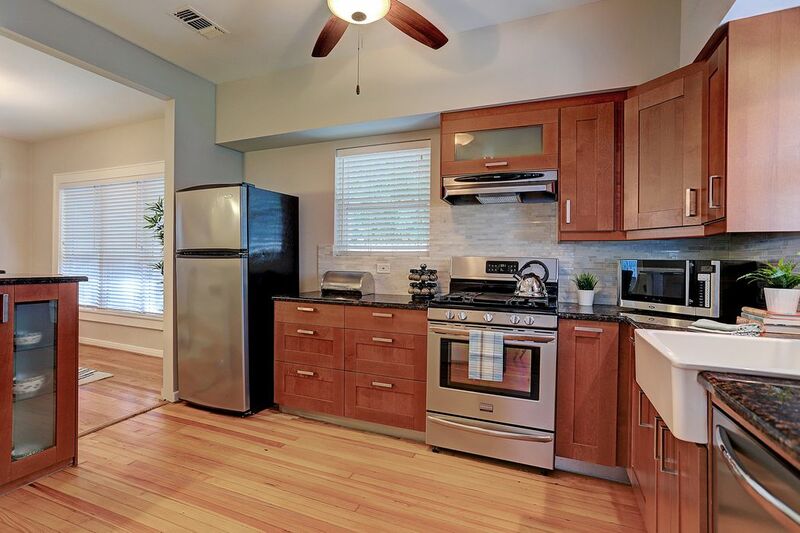 All appliances remain: SS Frigidaire dishwasher (2018), 4-burner stovetop w/ SS Oster vent hood, SS Whirlpool refrigerator, SS Frigidaire oven and SS Oster microwave. 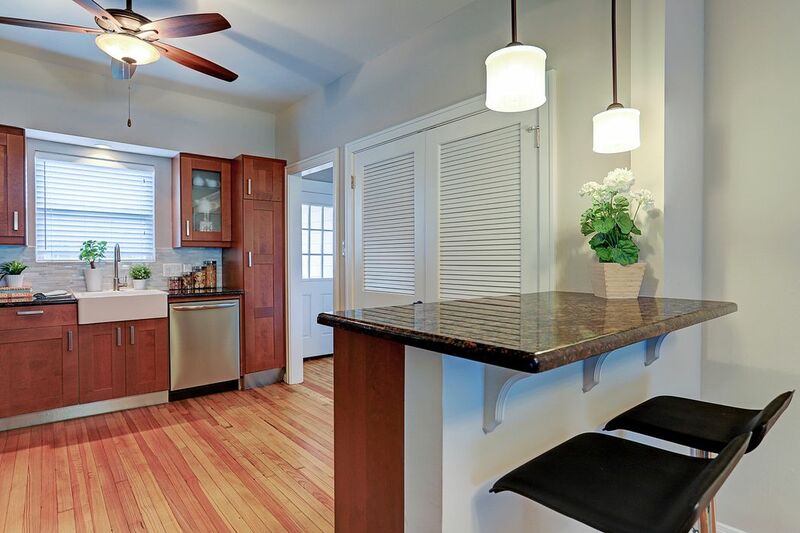 Kitchen is completed by a breakfast bar with room for two bar stools. (2) pendant light fixtures hang overhead (2013). Laundry closet to the right (added in 2013), housing a Whirlpool washer and Kenmore dryer, tile flooring. MASTER BEDROOM - 14 X 9 - (1) large window w/ blinds, large walk-in closet w/ shelving (added in 2013), ceiling fan w/ light and hardwoods. 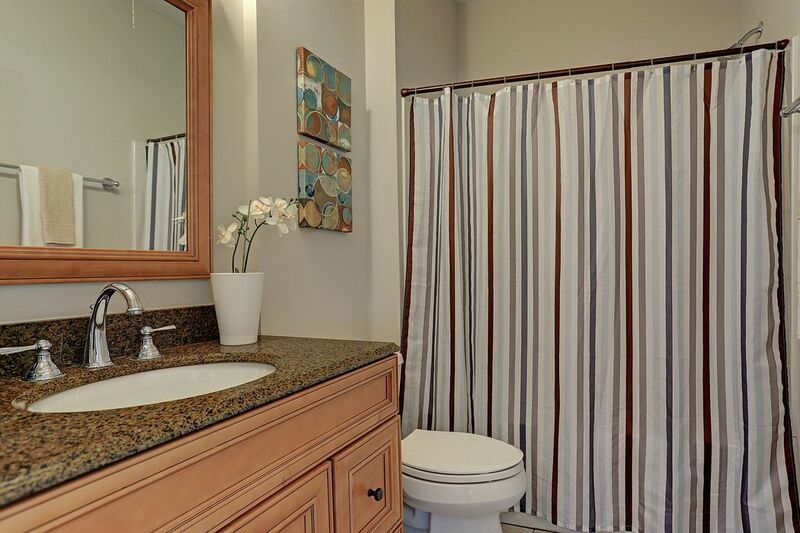 ENSUITE BATHROOM - Added in 2013, this bathroom features a shower w/ tub, granite surface & chrome hardware. Framed mirror & tile flooring. SECONDARY BEDROOM - 13 x 12 - (1) large window w/ blinds, closet w/ shelving (new closet system, 2013), ceiling fan w/ lights & hardwoods. 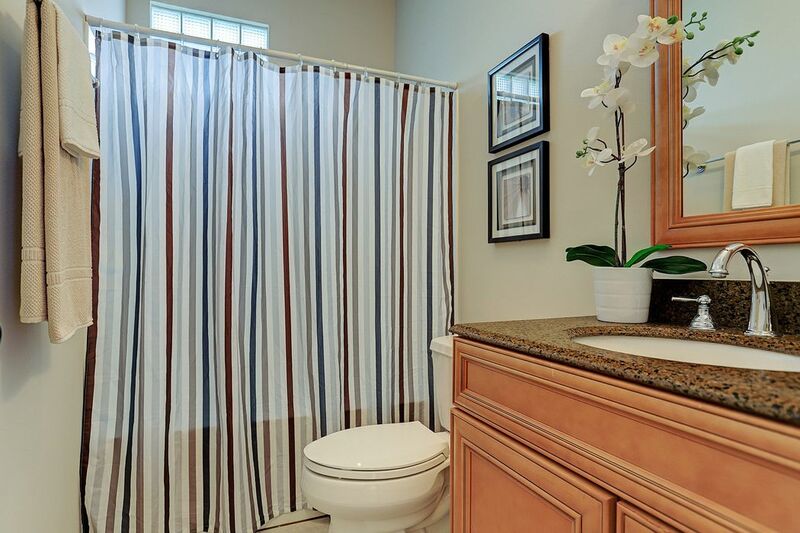 HALL BATH - Remodeled in 2013, this bathroom features a shower w/ tub, granite surface & chrome hardware. Framed mirror & tile flooring. 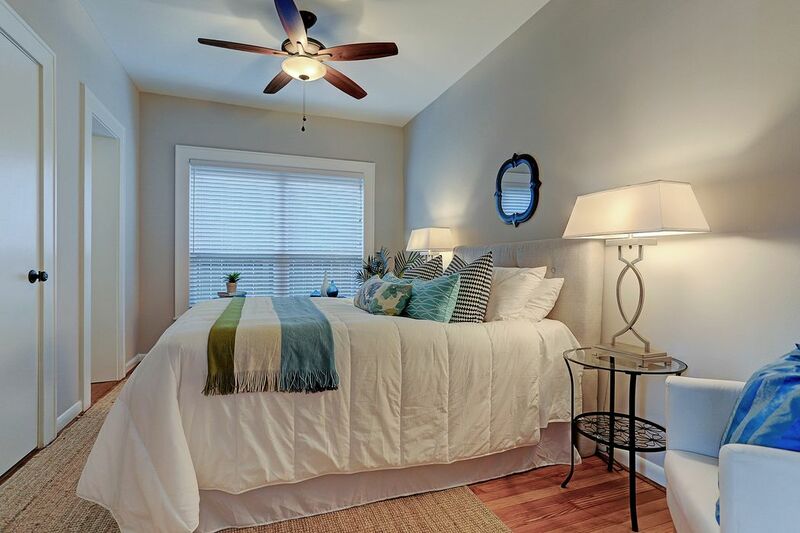 SECONDARY BEDROOM - 12 x 11 - (2) large windows w/ blinds, closet w/ shelving (new closet system, 2013), ceiling fan w/ light & hardwoods. 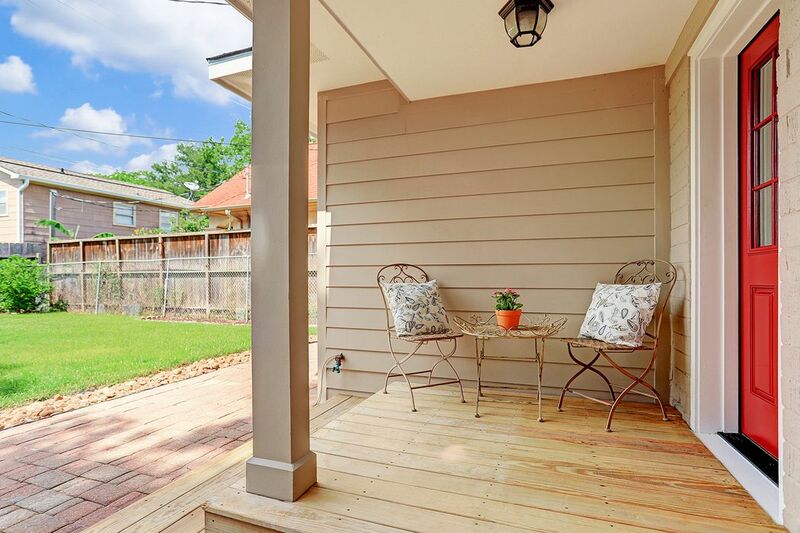 BACKYARD PATIO - A small covered patio w/ wood deck nicely accommodates a small patio table and set of chairs. BACKYARD - Fully-fenced grassy backyard, perfect for outdoor activities! 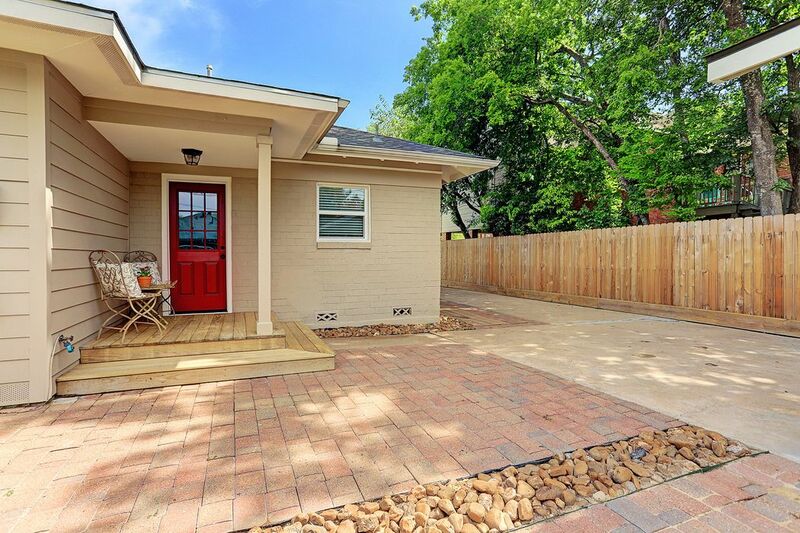 A second covered patio off the garage provides additional shaded space, perfect for outdoor meals & entertaining! View of the brick paver pavement and driveway leading up to the garage. Single-car garage w/ additional storage space. 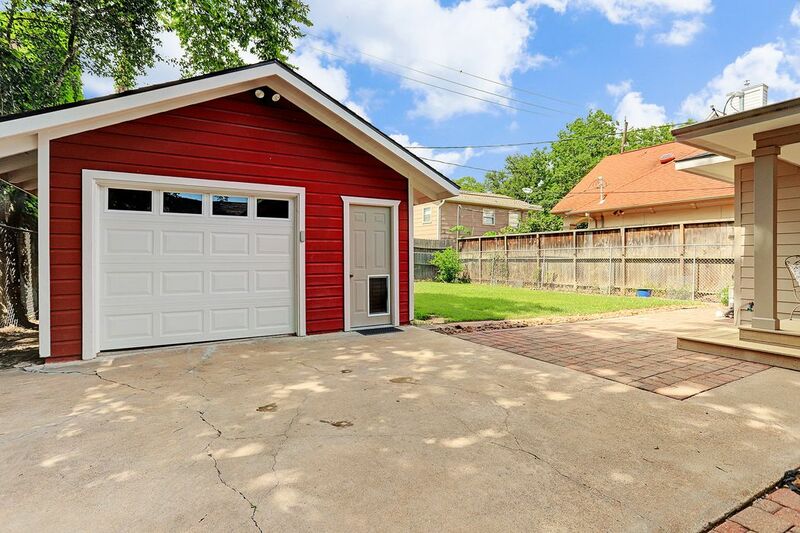 Garage painted (2013), power-washed wood fencing, carport pavement & garage siding (2018), installed 6-ft privacy fence from front of garage to front iron gate (2013). $599,000 3 Bedrooms2 Full Baths1,722 sq. ft.
Move-in ready. 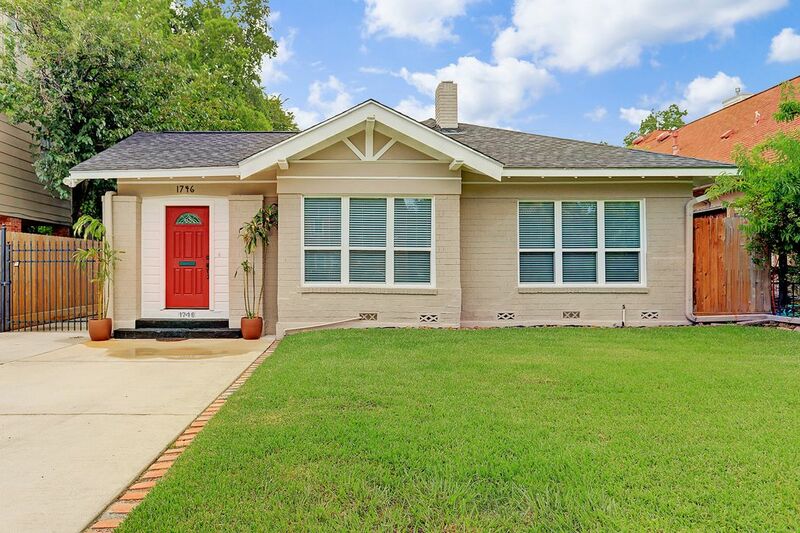 Charming 1-story in Montrose area with sunroom. 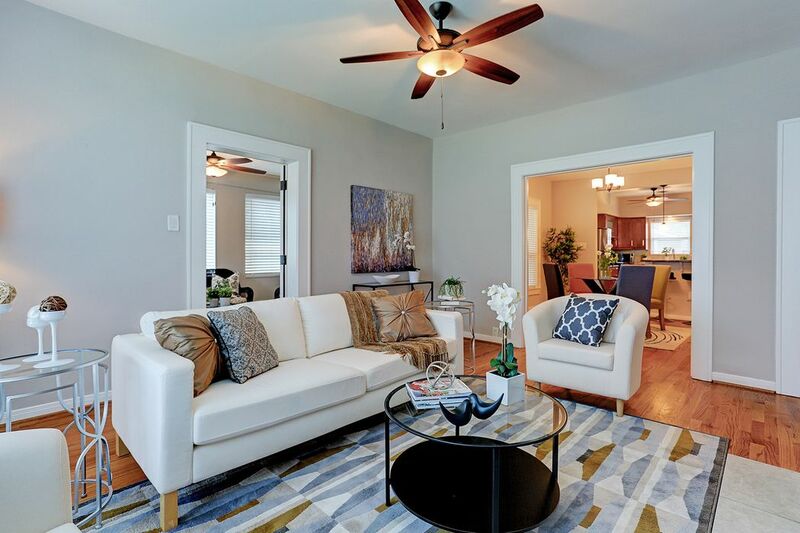 Fabulous location zoned to great schools. 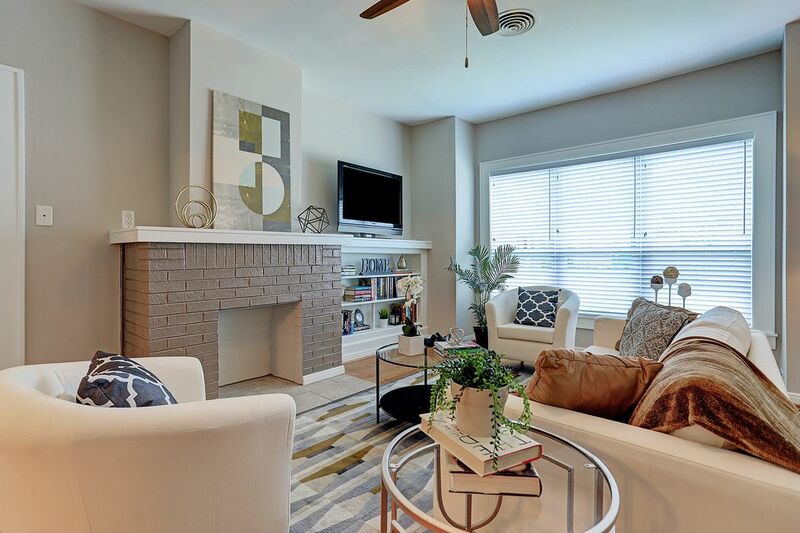 Extensive updates galore by current owner include: full bath addition plus existing bath remodel, 3rd bedroom large walk-in closet, remodeled granite kitchen with gas range, venthood, marble tile backsplash, farmhouse sink, cabinetry. Laundry closet off kitchen - washer/dryer remain. Refinished original hardwoods. 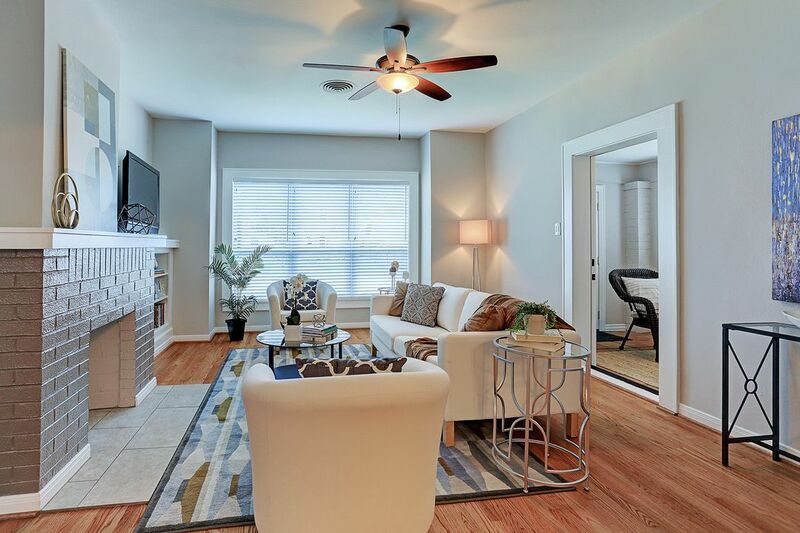 Recent lighting fixtures, ceiling fans and faux wood blinds throughout. 5-year-old roof plus gutters. Recent interior and exterior paint. Double pane windows. Recent steel garage door. 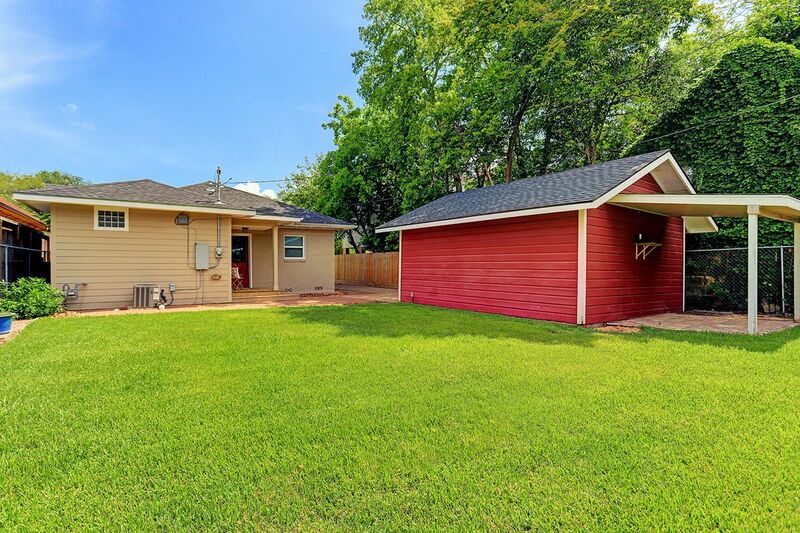 Large grassy yard with two covered patios. Gated driveway to detached garage. A must see.